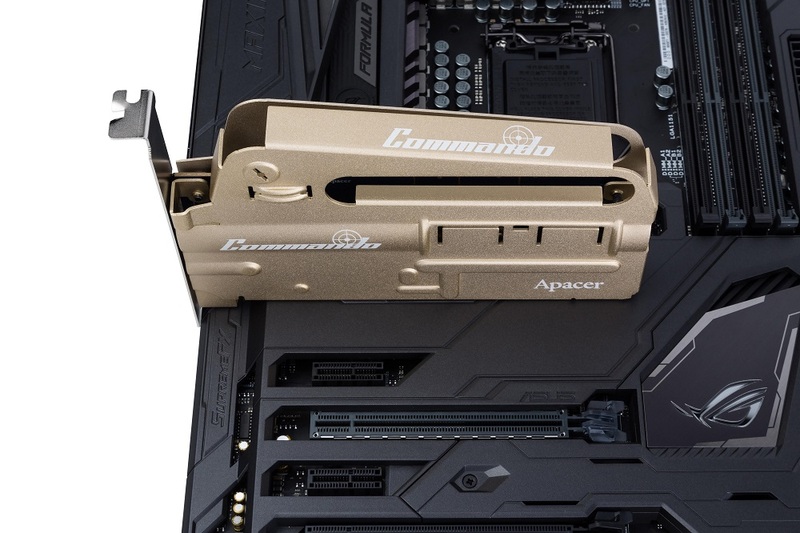 Built to support PCIe Gen 3 x4 with 2500/1350MB/s read and write speeds, Apacer’s PT920 COMMANDO SSD, as the name suggests, will make each gaming move precise and powerful. It operates at a random write of 175,000 IOPs to ensure gamers always stays one step ahead of the opponent. PT920 COMMANDO comes with multiple advanced SSD technologies to provide flawless performances. For accuracy and safety of data read and write, PT920 is equipped with 120bit/2KB ECC, End-to-End Data Protection, Smart ECC, and SmartRefresh. The S.M.A.R.T. monitoring system and Global Wear Leveling keep the operation at its optimum. What’s more, PT920 has advantages like low power consumption and strong capability to cope with intensive workloads, making it an ideal component to any professional high speed computing system. PT920 COMMANDO’ s shape of an assault rifle literally takes the meaning of gaming to a deeper level : the spirit must start from the very core, from the very inside of your computer. The grip of the rifle is actually a thoughtfully designed cooling system, while the rest of the piece is finely built with details like sight aperture and ejection port. In addition to the convection dynamics that keeps the unit running with an excellent heat dissipation, there is a 3-year warranty, along with protective technologies that will extend the lifespan. Ready to claim your field? 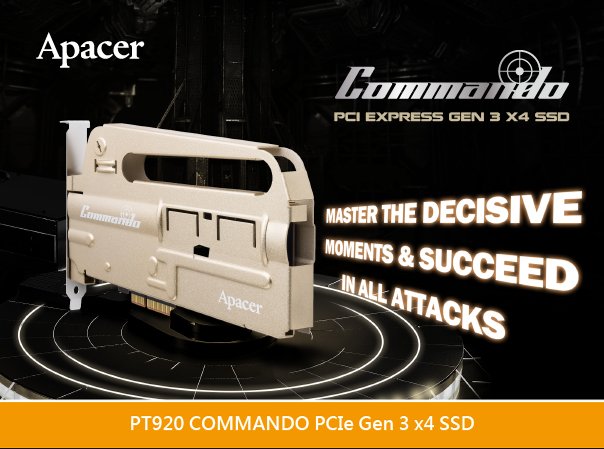 Unleash your power with PT920 COMMANDO SSD!